We had our primary temple activity this afternoon. It's always wonderful to visit the temple grounds and to feel the spirit of the temple. It was even more special to do it with our primary friends. We had a little devotional on the lawn. We sang a song, had a prayer, and then our Primary President told some stories about the temple. I especially enjoyed her testimony of eternal families. Her mother died when she was young and she said that going to the temple to do baptisms for the dead when she turned twelve helped her to understand that "family relationships [can be] perpetuated beyond the grave." 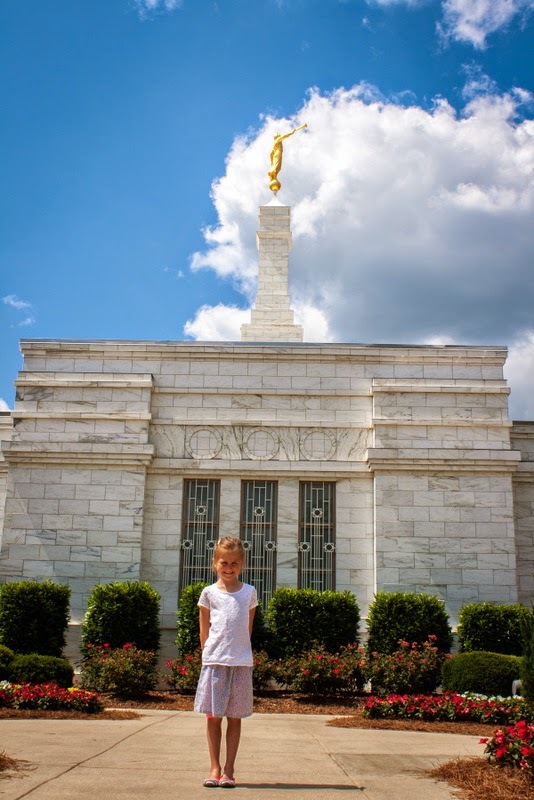 Going to the temple offered her such peace while she was grieving (and I'm sure it still does when she misses her mom as I imagine that's a grief that never goes away). The bishop spoke to us about the covenants we make with our Heavenly Father in the temple. They're sacred, which is why we wait to go until we're prepared to make such covenants. 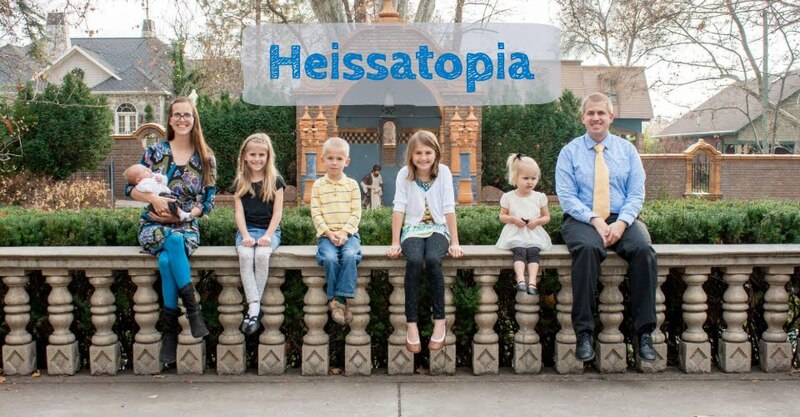 But, as I mentioned above, members can start attending the temple as young as twelve to do baptisms for the dead. We sang some songs while we waited for the temple matron to come out to talk with us. We've been working on a song called "The Family Is of God" in primary this year and they sang it so beautifully that it brought tears to my eyes. It's not even my favourite song (I could really do without the middle 'gender-role' verses not because I don't think it's the father's role to provide or the mother's purpose to care but because I think that mothers can help provide and that fathers certainly care) but I do love the first and last verse and I don't even consider myself a crier, necessarily, but somehow those kids made me tear up. It was so sweet. 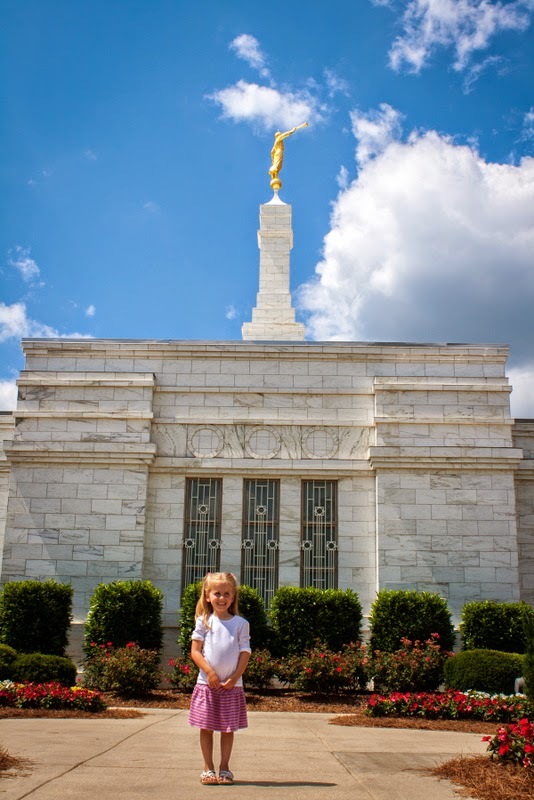 The temple matron gave each of the kids a picture of the temple and told them all about what goes on inside: the baptistry, the bridal room, the changing rooms, the endowment rooms, the sealing rooms, and the celestial room. She talked about covenants again and really got the kids involved, asking them to each tell her how old they were and how many years before they'd be able to get a recommend so they could visit the temple. 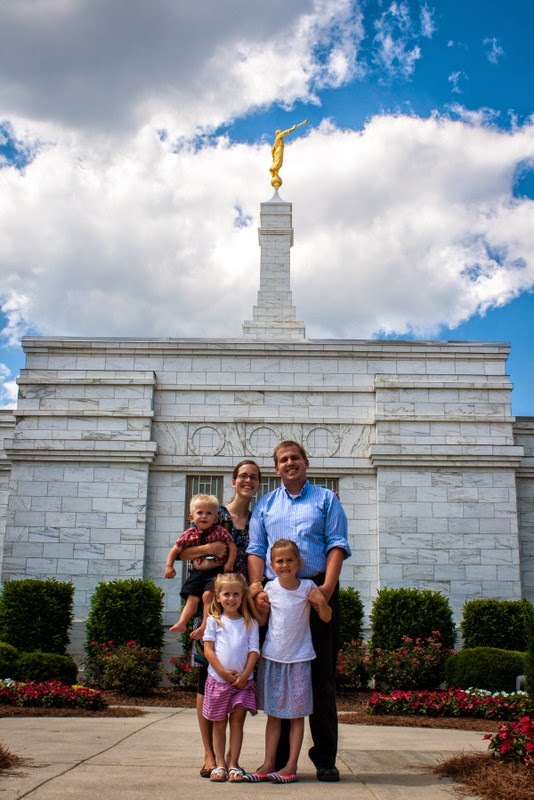 We closed with a song and a prayer and then we walked around the temple, touched its walls, and took a picture of each child and family before walking over to a park adjacent to the temple for some much needed refreshment (everyone was hot and thirsty)! We had around 45% of our primary attend (if we factor in nursery kids but only 40% without nursery kids), which I think was pretty good for a busy Saturday in May! 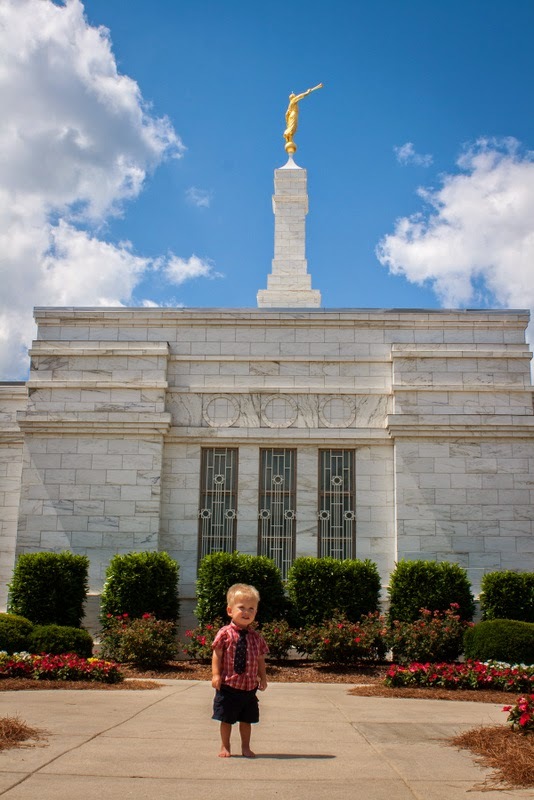 We're lucky to live close enough to get to visit the temple like this. Sometimes I grumble about how far away the temple is (45 minutes!) 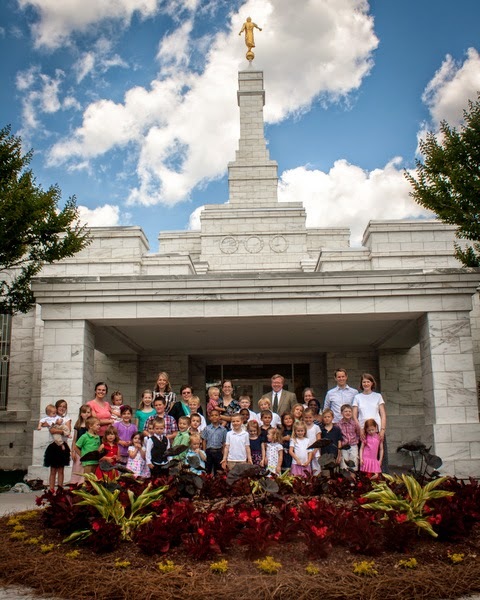 but, honestly, I've lived in many areas where a day trip to the temple with 33 kids 11 and under wouldn't really be possible (and actually we had 34 kids (one of the babies wasn't in the picture)). We certainly are blessed! This is the like button, and I am clicking it.